Summer is one of the best seasons of the year for dogs and their owners. An evening walk with your pup just as the sun is setting and the weather remains balmy is a real treat while a play-about on the beach (resulting in a sandy, wet dog!) is fantastic during the height of summer. However, there are some days where it can get a little too hot for both humans and dogs. While we can work up a sweat to cool ourselves down, dogs can only pant; a technique that is not enough when it gets extremely hot. As a result, it is important that humans ensure that their dog is kept safe in the sweltering summer sun at all times. When out and about in hot weather, it is essential to bring fresh, cool water for your pet to drink along with a bowl for him or her to drink from. Even when at home, a dog can get hot and bothered from running around outside so always have a fresh bowl of water at the ready, preferably in a location with some shade. This way, a dog can replenish the moisture lost through panting and can keep him/her going throughout the day. Heat exhaustion is a very real ailment if a dog’s body temperature is too high for a prolonged period of time. While water is a good start to keeping our pet cool, it is shelter that can really help protect our lovable canine from the sun. An insulated dog house is one of the best ways to provide protection from the sun as it is a large, well-ventilated area that can help dogs recover from long periods in the sun. When away from home, a fan or cover from a fence are generally the easiest ways to bring a dog’s temperature down. Other ways to keep cool during the summer sun include a water-filled dog bed that stays dry, allowing your pet to recover in comfort. These types of beds often use a gel-like material (or just plain water) to keep the bed feeling cool, making them especially helpful for older dogs and a better alternative than concrete tiles. Pale and short-haired dogs are the most susceptible to sunburn especially on their nose, ears, belly and the inside of their legs. As a result, a suncream designed specifically for animals could be useful in preventing burns to their nose and ears (though not on their ‘lower’ areas as they have a tendency to lick it off!). Furthermore, owners should be aware that the shorter a dog’s coat, the more prone they will be to sunburn. Paws are also likely to be burned during particularly hot days. Pavements and other concrete areas become really hot in the middle of the day so it is essential to check the temperature of a surface before walking on it; if it is too hot for your hand, it is too hot for paws. The summer sun may be useful for topping up a tan but it is absolutely paramount that dog owners ensure their pet is protected against the sun’s rays. 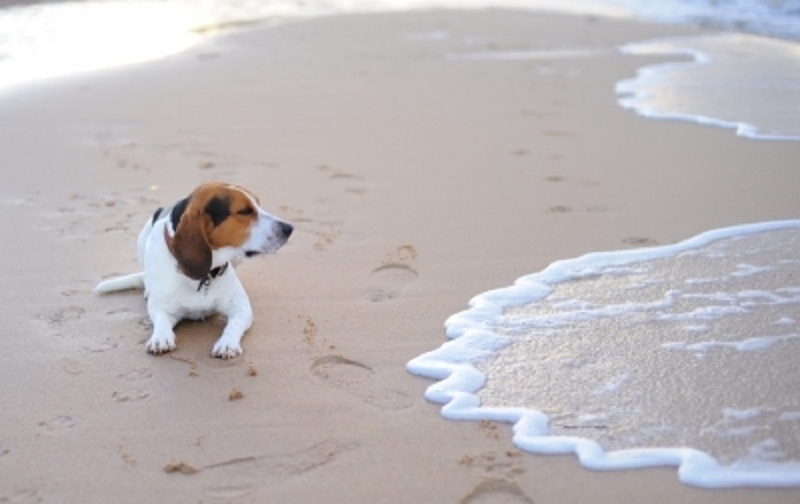 Consequently, both dog and human can enjoy the summer season. Previous Post: « Women’s Appreciation Series Trainer and Super-Mom Jacquie Rabinowitz!